Environmentally Friendly Rock Village Hall. Bewdley, Kidderminster, Worcestershire. Enchanting Wedding Receptions, Conferences, and Meetings. 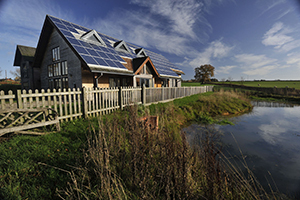 Few community halls are built on environmental principles as solid as Rock’s! The community at Rock, near Bewdley has every reason to be proud of their new village hall. 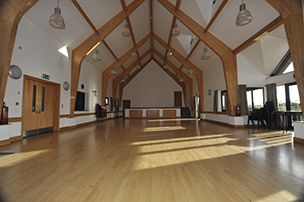 It provides not only a focal point for community activity in rural Worcestershire; it’s also a flagship building that demonstratives best practice in sustainable construction. The local community first launched bids to fund a new village hall to replace the existing dilapidated structure in 2000. It was decided that the new centre should incorporate as many environmental friendly features as possible. The resulting new hall uses recycled materials to a very large degree, including the use of recycled hemp for insulation, and recycled plastics for the underground drainage. Rainwater is collected and used in the lavatories. The whole system is heated by a ground source system. Recycled aggregates were used in the foundations and all the timber comes from Forestry Stewardship Council sources. Such is its environmental significance that the hall was formally opened on 19th January 2007 by Ian Pearson MP, Minister of State. Recycled aggregates in the access road and car park areas. Recycled aggregates in building foundations and ground floor slab. 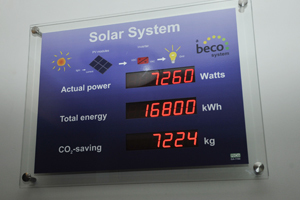 Ground Source Energy system for space heating and hot water supply. Timber from Forestry Stewardship Council sources for boarding to external walls and shingles to roof covering, structural timber frame and other timber products. Powder coated aluminium windows, external doors, and rainwater gutter and down pipe systems. Recycled plastics in underground drainage pipe work. Recycled cellulose paper in external wall insulation. Hemp/recycled cotton batts to roofing insulation. Recycled wood fibre insulation boards to roofing. Excavated material arising retained on site. The total project cost was some £ 650,000. The two largest contributors where the Big Lottery and the Severn Waste Environmental Fund who together made contributions in excess of £400,000. The Committee is appreciative of both these and the many other contributions, large and small, from trusts, individuals and other sources. A Full list of funders is available from the Chairman.